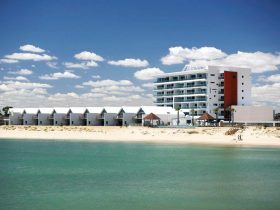 Crest Del Mar Apartments boasts a Venetian canal side address on the award winning Mandurah Ocean Marina, that’ll be the envy of your friends. With a selection of penthouses, two and three bedroom apartments, including one with disability access, you will feel like you are home. 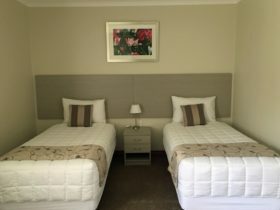 Each boasts two large balconies for whiling away the day and soaking up the cosmopolitan lifestyle that Mandurah exudes. 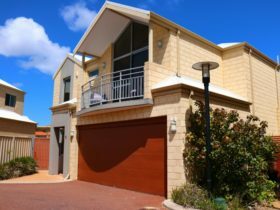 In a private residential enclave reminiscent of far off destinations, you are only a stones throw to the Dolphin Quay shopping precinct, and cultural and dining alley of Mandurah. A footbridge and walking paths link the marina to the foreshore. Across the road is an array of culinary delights, from a microbrewery tapas bar to cafes and ice creameries, from the boardwalk you sit above the marina beach, where you will often see dolphins frolicking nearby to families swimming. 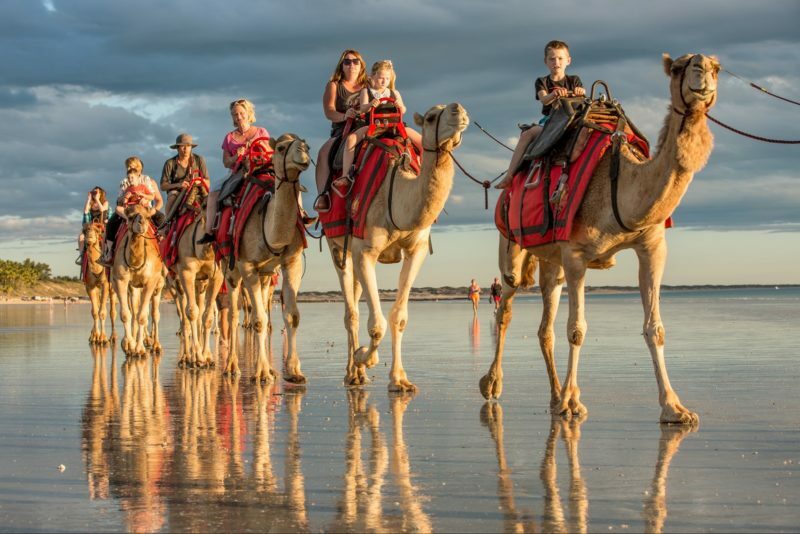 Just 50 minutes drive south of Perth down the Kwinana Freeway. Go on, spoil yourself! Top floor lavish lifestyle, with views from each balcony to the ocean over the marina. These Venetian canal side apartments are located on the Marina. 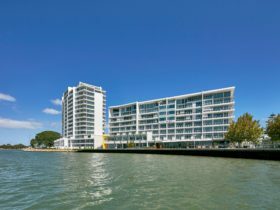 Only a short stroll to the foreshore and Dolphin Quay shopping precinct the large open plan living areas create an ideal ambience for that seaside getaway. 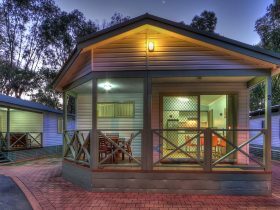 Boasting three bedrooms two bathrooms they sleep up to six people. Complete with lift access to the basement for your own secure parking bay. Offering a range of bedding configurations, mostly with queen and queen/single bed options. Each room flows from the large open plan living space complete with a galley style granite bench topped kitchen, and the latest in stainless steel appliances. There are two balconies, street side and canal side. 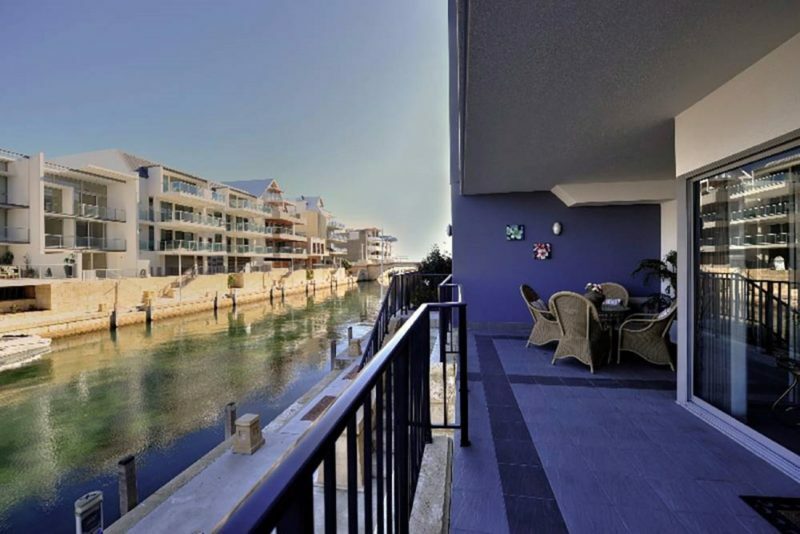 These Venetian canal side apartments are located on the canals of the Mandurah Ocean Marina. 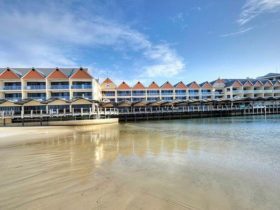 Only a short stroll to the foreshore and Dolphin Quay shopping precinct the large living areas create an ideal ambience for that seaside getaway. Each two bedroom two bathroom apartment sleeps up to four people. All with street side access, there is also lift access to the basement for your own secure parking bay. Offering a range of bedding configurations, mostly with queen and queen/single bed options. Each room flows from the large open plan living space complete with a galley style granite bench topped kitchen, and the latest in stainless steel appliances. There are two balconies, street side and canal side. Each three bedroom two bathroom apartment sleeps up to six people. All with street side access, there is also lift access to the basement for your own secure parking bay. Offering a range of bedding configurations, mostly with queen and queen/single bed options. Each room flows from the large open plan living space complete with a galley style granite bench topped kitchen, and the latest in stainless steel appliances. There are two balconies, street side and canal side.